The COB of Ukrainian state-owned railway operator, Ukrzaliznytsia, is ready to extend the contract with the Cabinet of Ministers, which expires in early June. "The contract expires on June 5. Its extension envisages the desire of both parties: the Cabinet and myself. Let's see what decision is going to be takenю I can say that I feel comfortable, and any option will work for me, which gives me a sense of freedom," he said. "I think that we are at the beginning of the road. The initial period is the most difficult for any manager. Now, having created a team, set the process roll, we are ready to hike in the growth of the company. If I embark on this journey, it will be a wonderful business adventure for me. It seems that the conditions will be a bit easier than at the first, the most difficult stage." Meanwhile, Ukraine's Infrastructure Minister Volodymyr Omelyan stated in an interview with ZiK TV that Balczun should leave. "It's time for him to quit, because everything that we had been planning, the next stage of Ukrzaliznytsia's reform, it all has failed over the past year," he said and added that Balczun's ineffectiveness dealt a significant blow to the economy of Ukraine. 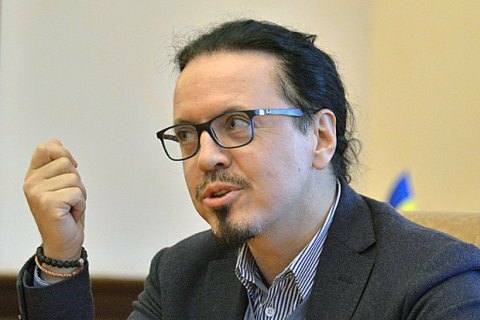 Balczun agrees that the transformation of Ukrzaliznytsia was not as smooth as he had hoped, but he dismisses the reproaches of the absence of reforms. "The reform of such a giant as UZ is sweat, blood, tears, humility and patience. If someone asks me where the reforms are after a month of my work, then this person has no idea about the management of such an organization," he said. Balczun reminded that he has run the Polish railway company PKP Cargo for five years and there, too, the result did not come in one day. "The first two years were a nightmare. The success came in the third year, and in the fourth year we got the best result in history," Balczun said. Poland's Wojciech Balczun led the Ukrzaliznytsya in June 2016 after winning a job contest.